To submit work for publication, please use our online submission system here. Amanda LeSavage is the Editor-in-Chief of the University of Pennsylvania Journal of Law & Public Affairs, Volume 4. During her time at Penn Law, Amanda has served on the boards of Moot Court, the Penn Law Women’s Association, and the Equal Justice Foundation. 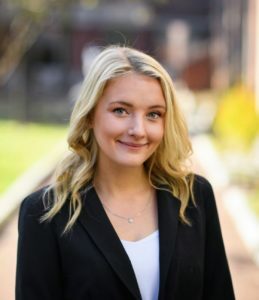 She also volunteers with the Pennsylvania Innocence Project, has served as a Morris Fellow, and was an Associate Editor for the University of Pennsylvania Journal of Business Law. During her second-year at Penn Law, Amanda clerked for the Senate Judiciary Committee. After graduation, Amanda will be working in litigation in New York City.